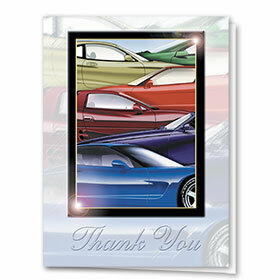 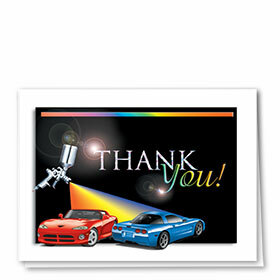 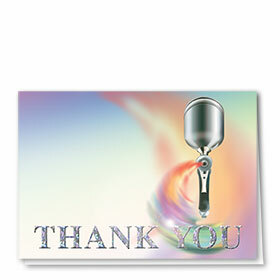 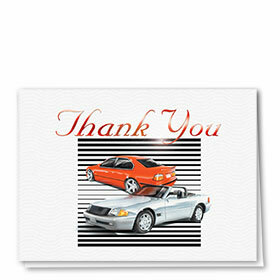 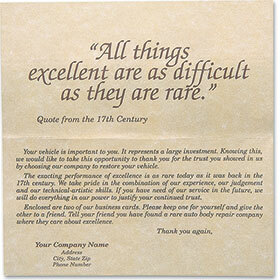 Show your customers just how much your appreciate them with our automotive greeting cards. 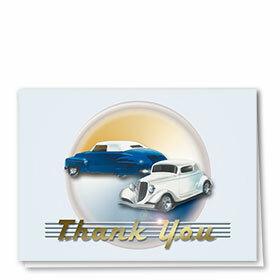 We have a wonderful selection of personalized thank you greeting cards for your shop that will fit any occasion. 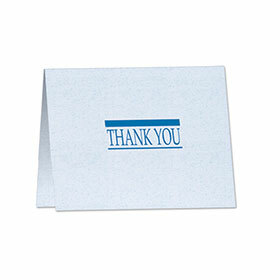 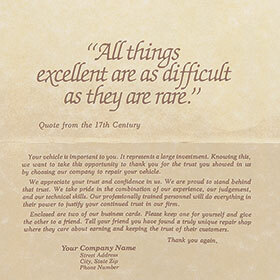 Our line features thank yous printed on our ever-elegant premium parchment paper, thank you cards with surveys and of course our eye-catching full-color and foil greeting cards. 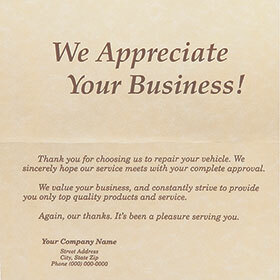 Customize any with your towing service company name and information. Full-color and foil options include your choice of message printed on the inside. Get free envelopes with any purchase. 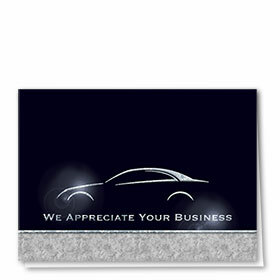 Savings available when you buy in larger bulk quantities.